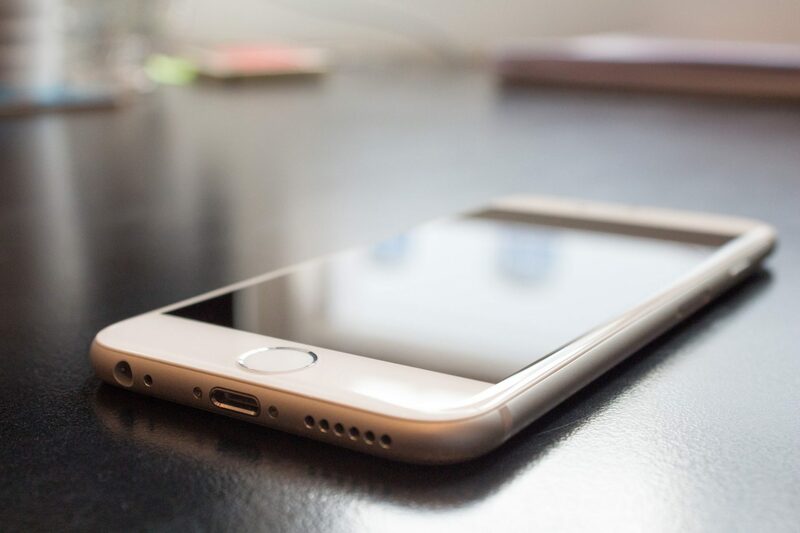 The growth of the Indian premium segment (above INR 30,000) is a positive development for brands like Apple, OnePlus and Google looking to expand their presence in the world’s second largest smartphone market. The Indian premium smartphone segment grew 20% annually by volume and 28% by value in CY 2017. 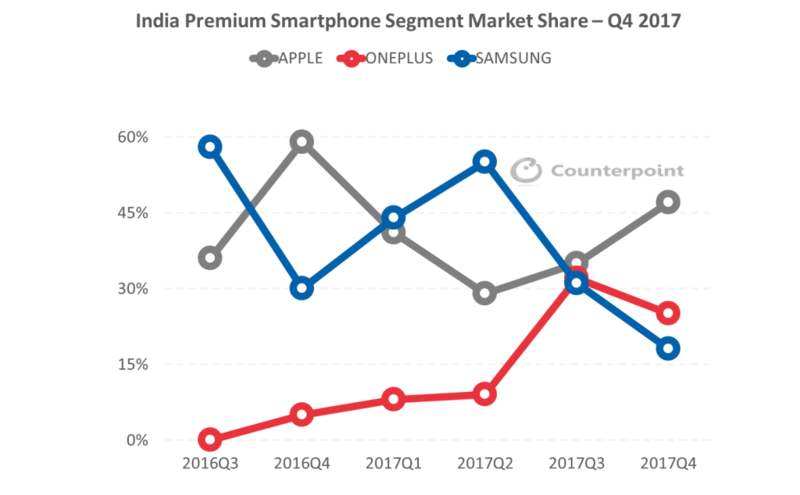 Although the segment is more crowded than a year ago, the top three brands, Apple, OnePlus and Samsung, still contribute to 94% of the overall premium market segment. Apple is still the leader in the premium segment, capturing 47% share during Q4 2017 and 38% during CY 2017, driven by strong shipments of iPhone X and iPhone 7. However, demand for iPhone 8 remains soft and, as a result, the overall Apple shipments in the premium segment declined 31% YoY. The decline is also partly due to last year’s strong quarter, when sales of the iPhones spiked owing to demonetization and the high volume of cash transactions. The quarter also saw strong promotions for iPhone through e-commerce channels (Amazon iPhone fest) and operators (iPhone X with Airtel). OnePlus was the fastest growing brand (+ 343%) in the segment — capturing 25% during Q4 2017 and 19% for CY 2017. It was the second successive quarter for OnePlus to capture the second position in the premium smartphone segment, surpassing Samsung. The OnePlus 5T drove the sales for OnePlus, as it became the second best-selling model in the segment within two months of its launch in India. OnePlus enjoys a strong brand loyalty in India while positioning itself as a flagship-killer in the segment. As a result, the overall upgrade rate within OnePlus users remain high. Samsung was behind OnePlus, capturing the third spot, as promotions for its Galaxy S8 and Note 8 remained strong. But it had tough competition from the iPhone 7 and the iPhone X.
Cashbacks and EMI offers were the major promotional activities leveraged by brands in the premium segment with cashback being offered by 9/10 models in the premium segment. Other notable brands which expanded their presence in the premium segment included: Google; Xiaomi; LG; and Nokia HMD. In terms of best selling models, iPhone X was the leading model in the premium segment, capturing one fifth of shipments, followed by the OnePlus 5T and Samsung Note 8. Going forward, we expect the premium segment to continue to grow by more than 20%, both in terms of volume and value in 2018, as more brands are likely to enter the segment. These include OPPO, Vivo and Huawei, which have some of their best selling models in China already in this segment. Additionally, the promotional activities in the premium segment are likely to increase, as e-commerce players leverage their scale and promotions to focus on premium smartphones.